Yay so it’s officially 2015! 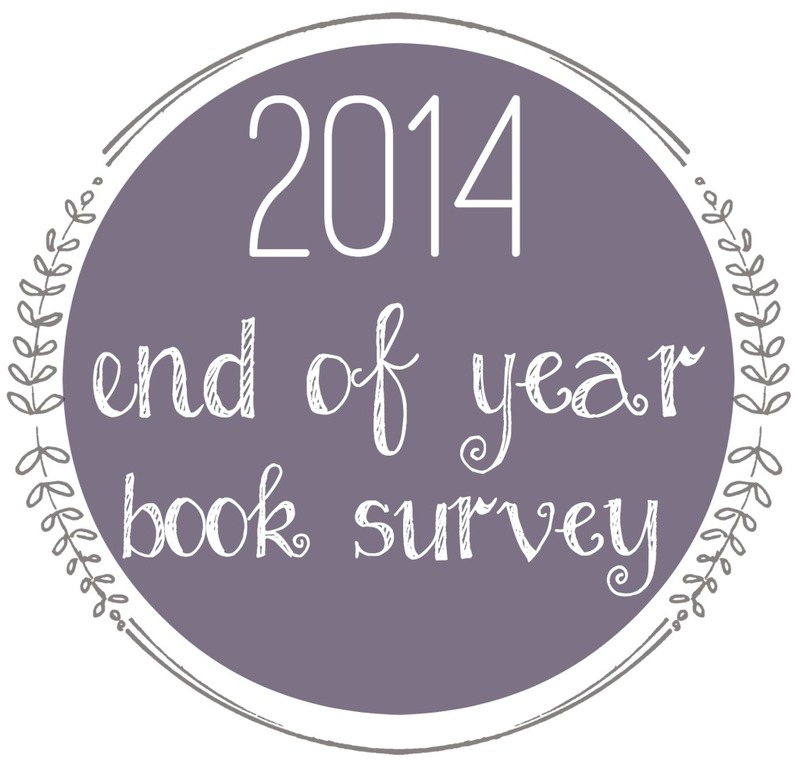 While it’s technically now the beginning of the year, I am still going to complete this survey for 2014. Unfortunately, December is always a crazy month so I never get much reading done and I didn’t have much time for blogging as well. Now that it’s a new month and year I will be updating often again. I have a stack of books and a 2015 TBR list so this year is sure to be a good one! 🙂 All of my stats are based off of my Goodreads account so there are probably some books not accounted for. Thanks to The Perpetual Page Turner for creating this survey and you can click on the blog name to go to her page and get the survey for yourself. I’m not that big on quotes from books. There are way too many I feel are “hidden gems” because I haven’t seen anyone else post reviews on them. No judging here but Nicole Polizzi’s (Snooki) book signing at a local university for her book Baby Bumps. Huge fan and was so excited to meet her. Hitting more than 75 followers. I was shocked and seriously thank you to everyone who does follow and read my blog. None, I’m happy for any views that any of my posts get. Participated in some but never finished any. I’m currently in a joint December-January one that hopefully I can finish and I have started a 2015 TBR list and one of my New Year’s Resolutions is to complete it. I want to finish my 2015 TBR list and at least read 100 books in 2015. I cannot believe it is already December. Only 5 more days until I turn 22, 24 days until Christmas and 31 until January 1, 2015. I love the month of November, probably because it is such a relaxed month. It’s getting towards the end of the semester, the chilly weather is beginning,Thanksgiving is at the end of the month and right after Thanksgiving all the Christmas mania begins. I am totally one of those crazy people who go out Thanksgiving night and begin shopping. I was already almost done with buying gifts but saw a few things in the sale flyers that I wanted to pick up. Those few things turned into many things. I spent a grand total of 15 hours shopping between Thursday night, Friday and Saturday and I don’t even want to begin to think about how much money I spent. A lot has happened this month too. I have read and bought a ton of books. I slacked off a bit on my reviews between homework and work, but I was able to do a few. I do plan on keeping up with them now and hopefully get 2-3 posts a week. As the holidays get closer I may fall a bit behind again. The holidays are always a crazy time around my house and I also am anticipating it to be crazy at the hospital as well. I will do my best to continue the posts though. I have no clue when I will get around to reading these books because on top of all of them I also have books I receive on ARC tours and I know I am getting quite a few books for Christmas as well. Hopefully once this semester ends and winter break starts I can read a lot during the day before I have to head into work. Not sure if this is considered a “bookish event” but I (along with thousands of other people) saw Mockingjay Part 1. I went Thursday the 20th during an early showing and the theater was so empty. I went again the next day with my friends and it was packed. Couldn’t figure that out but I loved the movie and can’t wait until it comes out on dvd so I can watch it over and over. As of now I am supposed to go see it a third time with another friend. I’d probably see it up to five times considering I went to the movies to see Twilight five times and THG is a thousand times better. Wow, I cannot believe that today is already September 2nd. The last month of summer completely flew by, and while I’m sad that it’s time to say farewell to summer I cannot wait for fall to begin. I love when the weather gets chilly and I can finally wear jeans, hoodies and yes…Uggs. I also love crunchy leaves, back to school, the smells of autumn and of course Halloween and Thanksgiving. I have not started classes yet, but I only have today left and then the new semester stars Wednesday. I am taking a full course load, 6 classes or 16 credits, although one is cardio kickboxing so it’s more or less like gym class in college. I’m not quite sure how crazy I will be with homework and studying, but I am currently still out of a job so I will have plenty of time to juggle my course work as well as reading and posting reviews on here. I will probably have to cut back to 2-3 reviews a week, which in my eyes isn’t too bad at all. As always I will also still be doing Top Ten Tuesdays. I cannot even begin to imagine where I got the time to read 13 books in August. I began reading Sublime by Christina Lauren and wasn’t able to get into it so I passed on it. I also am about halfway through The Accident by Kate Hendrick, but I started to get bored so I left off where I was to read some other books for now. Had I finished both I would have been up to 15 books in one month which is just crazy for myself. I have also been insanely lucky with the books I have chosen to read lately. I don’t post a review on my blog unless I am rewarding the book 3 stars or higher. With the exception of one of the books mentioned above, I have really enjoyed every book I have read the past month. I’m sure I just jinxed myself but hopefully not. I won a bookish contest for the month of August for my review on Rites of Passage for the Debut Author Challenge 2014 and cannot wait to receive my prize in the mail and see what awesome goodies are in it. (By the way Rites of Passage by Joy N. Hensley has been on of my favorite books I have read so far this year so definitely check it out!) I have a few more Debut Author Challenge reviews I will be posting in September as well. Also on September 11th, I will be featuring Appaloosa Summer by Tudor Robins on my blog as a part of a blog tour. I am excited to post the review, so definitely be sure to check out my post for the day. The review will remain my top post all day so it will be super easy for you to find. Wow, I can’t be the only one who felt like June just flew by. I can’t believe that in just 30 minutes (for me at least) it will be July 1st and that 4th of July is this Friday! June definitely didn’t turn out to be as successful as I had anticipated on it being. I finally got a new job that I began at the beginning of this month, but haven’t been scheduled since Monday the 16th thanks to over hiring and bad business. I’ve been job hunting like crazy during the day with no luck so far but I’m keeping my hopes up. No job basically means no extra spending money for books 😥 , the struggle is real. June definitely had some good moments though. I am successfully registered for all of my fall classes. I declared my major finally, and it’s kind of confusing to explain but I am a Public Relations/Advertising major, which is a track in their Communications major, which is part of their Liberal Arts program. Confusing, but basically I will be taking my general education classes with some language, communications and marketing classes thrown in the mix. Hopefully once I graduate I will be able to get a job at a children’s publishing company. Those are the goals. I am also taking a 2.5 hour class on Thursdays from July 10 to August 7 so I can volunteer to be an elementary reading tutor at one of the local libraries so that should be fun and a new experience. In the month of July, I am going to try completing a challenge. I want to try to complete The Book Genre Challenge hosted by eternal-books. July’s genre is classics which isn’t my go to genre, but I have been wanting to try reading The Bell Jar by Sylvia Plath, which I had to Google if it was considered a classic just to be positive it would qualify and it does. I will explain my reasoning behind wanting to read that novel when I do a review on it. Since the challenge is basically to read one book from that genre a month, I think I may have to stick with just one classic for July. I have read classics in the past, The Great Gatsby, To Kill a Mockingbird, Catcher in the Rye, Lord of the Flies, ect., and don’t think I will be rereading any of them anytime soon due to my long list of books that I am already waiting to read for the first time. So seven books read this month, I guess it could be worse. I am also almost done Such a Pretty Girl by Laura Wiess which is actually a reread for myself. I read it a couple of years ago and rented it from the library earlier today. Not one hundred percent sure if I will do a review on it or not, but I most likely will because I absolutely love all of Laura Wiess’ books that I have read so far. Since I am so close to finishing, I am counting it as a June read. Today I also finished an extended excerpt from To All the Boys I’ve Loved Before by Jenny Han (another one of my favorite authors) and OMG, I need to go out and buy the book asap now. It was so good and I am going to cry if I can’t pick up where I left off soon. If you are interested in reading free books and extended excerpts, you can go to www.pulseit.com and make an account. They have free books for a limited time that are always changing. The only downside to this is that you have to read the book on the computer, or a tablet of some sort. I was reading mine on my iPad and it worked wonderfully. The last three I reserved at the library, one is ready for me to come pick up and I am hoping the other two will be shortly. My goal is to at least read and review all of the rented books before July is over. Fingers crossed that it will happen. I know I’m a few days early, but with my two month break I figured who cares? I have quite a handful of books I read between then and now and also recently did a book haul before I went camping Memorial Day weekend. I also figured it would be better to post this today because tomorrow starts my first day of work at my new job. Yay for a new job, but boo for having to wake up at 4:30 in the morning. I’m also incredibly nervous because my new job is a server at a restaurant in a casino, and I have zero experience serving in a restaurant setting. (By the way does every state have casinos in them? I know obviously Nevada does..Las Vegas, New Jersey..Atlantic City, and I’m pretty sure Pennsylvania and New York do as well.) Anyways, I’m working full time and the drive is also a little over an hour so I am not sure if I will get up to two reviews a week but I will definitely still do TTT and one review. (I already have a double review -the two books go hand in hand- to post over the weekend.) So onto to the books I have read since my last post in April. Since I haven’t posted reviews, and there isn’t enough time to post them all, I will include my rating and a quick review or note for the book. Snapshot by Angie Stanton – 5 Stars. I fell in love with this book from the first page and it is definitely one I would recommend as a summer or beach read. 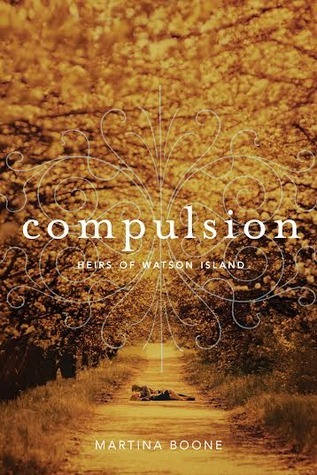 It’s also a companion novel to one of her other books (which I am definitely ordering asap). Every Little Thing in the World by Nina de Gramont – 4 Stars. Definitely refreshing and original. Once again a good, easy summer read. Made me want to go on a canoeing/camping trip for two weeks with a bunch of friends. In Your Room by Jordanna Fraiberg – 3.5 Stars. Once again refreshing and original, as well as a super quick and easy read. Really cute and is one I will most likely read again. Moonglass by Jessi Kirby – 5 Stars. Absolutely love this book! Great for bringing to the beach. Just fell in love with everything about this book and have not a single complaint. The Ruining by Anna Colomore – I actually posted in my March wrap up that I was going to review this book and I still will because I feel like it was so good that it needs a review. If He Had Been With Me by Laura Nowlin – 4 Stars. This book was so good, and had be bawling my eyes out like a baby at some points. Definitely read when you’re alone! Amy and Roger’s Epic Detour by Morgan Matson – 5 Stars. So happy I finally have read this book. I loved every page and understand why everyone raves about it. So far Morgan Matson has not failed to pull me into her novels. Can’t wait to read her newest! Monument 14: Savage Drift by Emmy Laybourne – 4 Stars. Great way to end the trilogy. I loved how in the last few chapters everything tied in and made sense and was just perfect as it could be in their situations. Had me up late turning the pages because I couldn’t take a break. The Fault in Our Stars by John Green – 5+ Stars. Why anyone allowed me to wait until a couple of weeks ago to read this book makes me mad. I fell in love with the storyline and the characters. Obviously like everyone else I cried more than any book has made me cry before. I had to put the book down twice until I could compose myself. I’m already planning on bringing a whole box of tissues when I go see this in the theaters. I’m also keeping my fingers crossed that it does the book justice. Anyone interested in seeing the movie, read the book first!!! I am pretty positive those are all the books I have read besides the two I plan on reviewing over the weekend. I also have about 10 new books from the past week as well as a good amount of ARCs I’ve downloaded this past week on my Kindle, so I should be set for reviews for a while. I will probably try to review a few of the books I posted in this post because some were too good not to get a full post to themselves. Let me start off by saying that March has definitely not been the best blogging month or the most relaxed month by far. Since I didn’t do much blogging, I imagine this wrap up will be simple and short. April may or may not be a great month as well. I gave my notice a week ago and am now left with 7.5 weeks to find a new job. Easier said than done, but I am going to be optimistic and keep my fingers crossed. So, depending on the job search, I may or may not be able to stay on top of my blog but I am hoping I will. I also read a Hailey Abbott book, but cannot remember the title as of now, but I did enjoy it. I cut back from buying any more books until I can finish a majority of the ones I have. There are a few I will be purchasing this month when they come out though, but they will go in the back of the line. Like I said, I hope April can be different and I will try my best considering the one very important task I have this month is getting a new job. Like I said in my post yesterday, today was a snow day so I had absolutely no excuses not to get at least two posts up today. 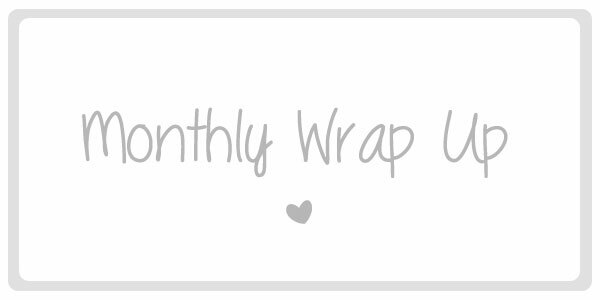 I mentioned I wanted to post my February wrap up, even though we are already in March, because I did a decent amount of reading this month. I can’t believe it is already March. February, as always, seems to fly by and I am surprised with the amount of books I’ve read this month given that there was only 28 days. Though February was not a good reading month. I seemed to have chosen all the wrong books to read this month, with the exception of a few that were amazing. I am going to be honest..I am a very critical reader. I don’t exactly know why I am so critical with the books I read, but I either love them or hate them. I also am the worst kind of reader. I judge a book by it’s cover. I know, I know..this is the absolute worst thing a reader can do. Usually though, if the cover is something that captures my interest, along with the title, then I end up enjoying the book. Of course I always read the back of the book as well because if it sounds boring or ends up being in a genre I don’t really care for, it goes back on the shelf. Anyways, time to wrap up this post with a list of books I have read in February. I will post how many stars out of five I gave it. Stealing Parker by Miranda Kenneally – Posting this review next! This Is What Happy Looks Like by Jennifer E. Smith – Be on the lookout for this review this week! Wow, seems like even more when I type them all up. I didn’t post reviews when it came to any of the series I finished because I had never posted a review on the first book, but Beach Blondes is definitely a great read for the summer. The rest in the series are no where near as good. Oh my goodness..I can’t believe I bought that many books just in February. I do buy a lot of them used on Amazon or if I buy them new, I buy them on Amazon as well because they are usually still cheaper than the cover price. I think I am going to take a break from buying any books for at least a month so I can catch up on a lot of the ones I already have. Be on the lookout for reviews this month since you can see I will be doing a lot of reading. I hopefully will get 2-3 reviews out a week. Hopefully with a schedule I will stay on track and do my posts when I need too. Unfortunately, some weekends are more crazy than others so I may not get around to posting anything from Friday-Sunday. So fingers crossed that February will run smoothly because I have a lot of books to read and review, and only more being delievered. So with that being said here is my January wrap up.. I began my blog at the beginning of January and was very nervous about starting one, but it is way easier to stay on top of it than I had expected. I’ve posted 15 posts just in January, gained 20 followers and have had 121 views. Although those are small numbers, it is way more than I had been expecting and I hope that as this month progesses, those numbers only go up. I’ve gotten my hands on quite a few advanced readers copies, which was very exciting, and joined a younger adult book club in my area. And finally, my one review of an ARC was seen and commented on by the author herself! So overall, being that my blog is almost a month old, I think it’s done pretty well and I am going to continue to strive to make it the best it can be. Thank you to everyone who has viewed, commented, and followed my blog this past month.